Salida MAC Chair, Katherine Borges, reported to Stanislaus County Department of Public Works that several street lights had burned out in neighborhoods around Sisk School: Edna Court, Sugar Creek Court, and the intersection of Durley and Wessex. 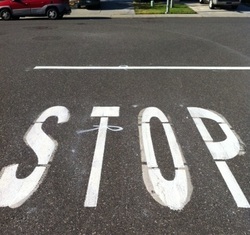 Thanks to Public Works for taking care of this issue immediately. 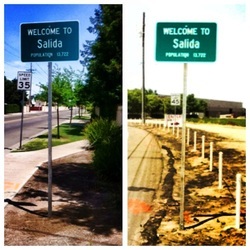 REPORT: "Welcome to Salida" sign on Murphy Rd - STOLEN! UPDATE: July 30, 2014 - A theft report has been filed with the sheriff. At the June 24th Salida MAC meeting, a resident complained about all the shopping carts abandoned around Salida. 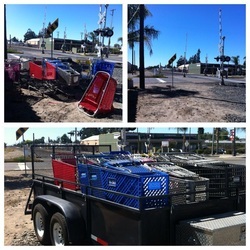 With much thanks going to Salida Chamber of Commerce board member, John Martin, the carts were collected by John and returned to the stores from which they came. Salida MAC Chair, Katherine Borges assisted by removing the trash from the carts before loading on the trailer.